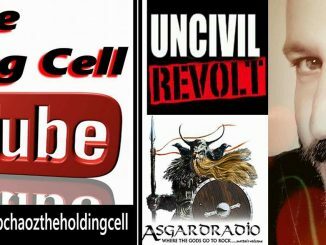 HomeNewsEpisode 8 of the Holding Cell featuring the madman himself Rob Chaoz! 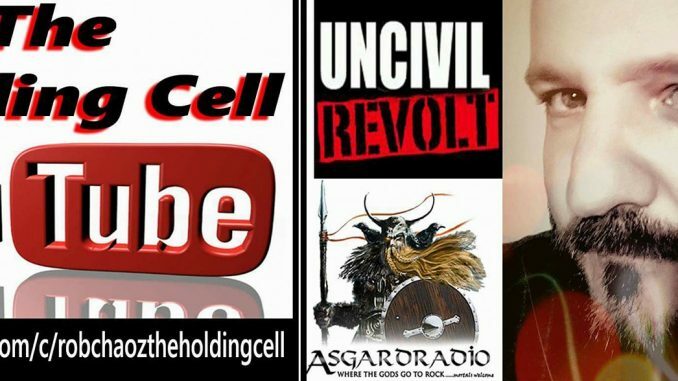 Check out Out With Ambler sitting down with Skinn Jakkitt in this episode, we have music beds by THE RED DICE’S REVENGEBoughtXBlood and lots of great updates from Asgard Radio Asgard ConnectUncivil Revolt sure to subscribe to my youtube show to keep things moving along. and be sure to share the videos if you like them!! check out all these killer bands, and be sure to stay subscribed to The Holding Cell – Rob Chaoz for weekly updates!! !